For all kind of surgery in knee & below area including knee replacement. 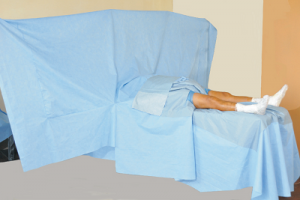 No fluid can pass through the drape in operating area. Minimum transfer of fabric fibers into the wound. No chemicals present in the fabric of the drape.